Here at ACG We try to go out in the community and participate in some of the local events that relate to the health and wellness industry. 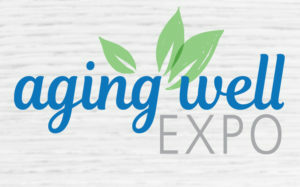 Next week on February 21, 2019, ACG Medical Supply will be attending the Aging Well Expo at the Esports Stadium Arlington Expo Center. from 9am-2pm. This event is open to the public. This FREE expo is packed with health professionals and a variety of informative presentations on wellness that will engage and empower adults of any age. Come find out what services and resources are available for housing and volunteerism and learn ways to improve your health and lifestyle! Stop by our table at the event and visit with Stephanie and Jessica. While you are there, you can get information on products for a healthy lifestyle, some home helpers for around the house or in the car, and some products to make things a little safer. They will even have a scooter and a lift chair for you to try out! Plus, they will be giving away some goodies. There is a bit of a layout by WordPress, but I have designed the all of the colors to match our store colors. All the text, links and pictures were done by me as well. Thank you for your kind words.